Casual motorists generally take no interest in crawling under their vehicles on a Saturday afternoon. And, when was the last time you heard someone express excitement over dropping their car off at the dealership for maintenance? The automakers know this, which explains the proliferation of sealed, or filled-for-life, transmissions and differentials. Many vehicles also use “lifetime” fluids in these components that supposedly don’t require changing. Some transmissions and differentials don’t even include dipsticks or access plugs for checking the fluids. Suppose the “filled-for-life” transmission or differential on your truck fails after the factory warranty has expired. What do you think the dealership is going to do? That’s right – slide a bill across the counter to the tune of several thousand dollars. It’s a good idea to change fluids in a filled-for-life or sealed transmission or differential at least once during its lifetime, and more often if you tow or haul. Here’s why. 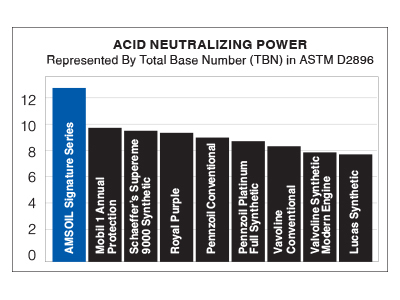 Modern vehicles are tougher on transmission fluid and gear lube than ever. For starters, the automakers are in an endless arms race to produce more power than the competition. All that added power has to go through the transmission and differential before reaching the wheels, yet modern transmissions are smaller and lighter than their predecessors. Meanwhile, the gears and bearings in most differentials remain unchanged despite the increased power they must handle. This adds up to increased heat, and heat is one of the transmission fluid’s biggest enemies. It speeds the oxidation process and causes the fluid to chemically break down. Fluid that has broken down can cause sludge and varnish to form, which clogs narrow oil passages and can lead to stuck valves. Soon, your vehicle can begin to shift hard, hesitate or quit shifting altogether. Components also use lower-viscosity fluids to help boost fuel efficiency. That translates into thinner fluid protecting against intense heat and wear – not an easy task. In addition, many automakers use less gear lube than before to help reduce energy lost to friction and boost fuel economy. Given such challenging conditions, what’s the best way to combat heat and stress to ensure your vehicle keeps running strong? Never change the fluids? Hardly. In fact, your “lifetime” fluid may require changing if your driving habits full under the “severe” designation, which includes towing and hauling. The differential in the 2016 Ford Super Duty 250, for example, is considered “filled for life.” However, the owner’s manual instructs you to change the fluid every 50,000 miles (80,467 km) in “severe” conditions and anytime the differential is submerged in water. Did you hear that, anglers? The 2017 Toyota Tundra likewise features a “filled-for-life” differential. But Toyota tells you to change fluid every 15,000 miles (24,140 km) if towing. 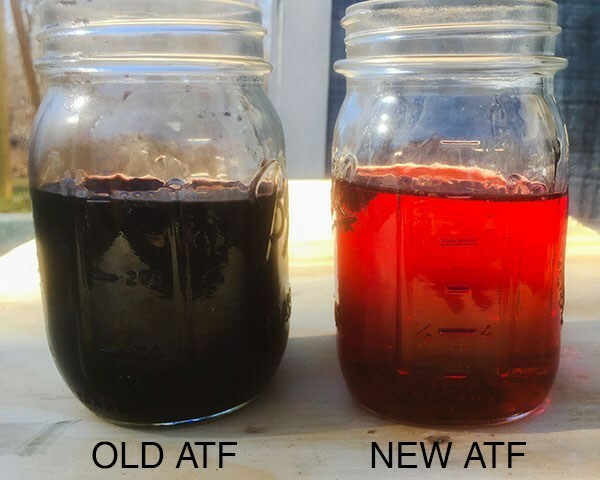 Complicating matters, some vehicles don’t even include a service schedule for changing transmission fluid. The Mazda CX-5 is one example. That doesn’t seem like a great idea if you plan to keep the vehicle past its factory warranty period. For maximum life and best performance, change the “lifetime” fluid in your vehicle’s filled-for-life or sealed transmission or differential at least once, but more often if your driving conditions fall under the severe designation. Changing fluid in these units may tax one’s mechanical aptitude, but it can be done. You likely need to visit the dealer or a mechanic since special tools can be required. Some manufacturers also prescribe complicated procedures spelled out in a service manual for changing fluids. Anyone who has changed gear lube before – whether on a “filled-for-life” differential or traditional unit – knows the hassle involved: a tough-to-reach fill hole, gear lube spilled everywhere and bloody knuckles. 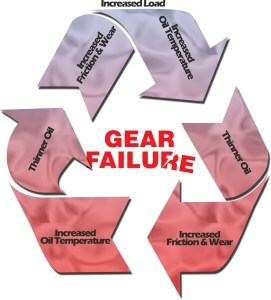 Find out how often to change gear lube here. Our SEVERE GEAR easy-pack offers the perfect solution. Compared to rigid conical bottles that waste a quarter of the gear lube or more, our easy-pack offers the dexterity to maneuver around vehicle components and the flexibility to install nearly every drop of gear lube. It eases the process of changing gear lube, saving you time and hassle.